Unfortunately, they do have their limitations when compared to similar products. This is because they are set up for their users to access Amazon content. Although the Amazon store has a great range, a lot of the content is geo-restricted, which can be infuriating to those who are living outside of the US. Amazon keeps their content restricted due to various different distribution agreements throughout the world. Although Kindle software is based on Android, Amazon has stripped out the means for their users to easily set up VPN connections. Thankfully they haven't made it impossible, but they sure have made it harder. Although all of these aspects may be infuriating, they can certainly be gotten around, with some elbow grease and a little help from a VPN. Although all of these aspects may be infuriating, they can certainly be gotten around, with some elbow grease and a little help from a VPN. There are three ways that you can use a VPN to open up your Kindle Fire and get more usage out of it. They range in complexity, but thankfully we are here to explain it all to you. The easiest way is to use a flashed router, but it will require you to buy some additional hardware if you don't already have one. You can also root your Kindle, but this certainly isn't easy and it will void your warranty. Despite this, it will open your Kindle up to a host of other uses. The third option is to side-load an Android VPN app. They range in complexity, but thankfully we are here to explain it all to you. The easiest way is to use a flashed router, but it will require you to buy some additional hardware if you don't already have one. You can also root your Kindle, but this certainly isn't easy and it will void your warranty. Despite this, it will open your Kindle up to a host of other uses. The third option is to side-load an Android VPN app. You can also root your Kindle, but this certainly isn't easy and it will void your warranty. Despite this, it will open your Kindle up to a host of other uses. The third option is to side-load an Android VPN app. The third option is to side-load an Android VPN app. The best part about using a flashed router is that it means that all of your devices that connect to the router will automatically be going through a VPN. Rooting your Kindle will essentially turn it into an Android tablet, which will open up a lot more options in what you can do with it. This includes being able to run a VPN and being able to access content from outside of the Amazon store. You need to beware that this is not an easy process, it will void your warranty and in the unlikely case that something goes wrong, it can make the device completely unusable. Root your Kindle Fire at your own risk! This includes being able to run a VPN and being able to access content from outside of the Amazon store. You need to beware that this is not an easy process, it will void your warranty and in the unlikely case that something goes wrong, it can make the device completely unusable. Root your Kindle Fire at your own risk! Root your Kindle Fire at your own risk! The rooting process will essentially strip out the Kindle's restricted interface and replace it with a standard Android operating system or a custom version if you prefer. If you root your Kindle, you will be unable to purchase content through the Amazon store. If you haven't already purchased the Kindle and are thinking about doing this, it might just be better to buy a similar Android device. If you do decide to go through with rooting it, you can find many helpful guides online. If you root your Kindle, you will be unable to purchase content through the Amazon store. If you haven't already purchased the Kindle and are thinking about doing this, it might just be better to buy a similar Android device. If you do decide to go through with rooting it, you can find many helpful guides online. If you do decide to go through with rooting it, you can find many helpful guides online. Amazon isn't exactly fans of their users taking advantage of this method, but it should still work and help you access a VPN on your Kindle Fire. Before you get started, you will need a VPN subscription, so sign up if you haven't done so already. Then select More, followed by Device. Download the free app, ES File Explorer. Step 4: On your computer, download the OpenVPN Installer. Click on the .apk file of the OpenVPN Installer and install it. You will need to use the OpenVPN configuration files from your VPN provider. Once this is done, you should be ready to use your Kindle through a VPN. What's the Best VPN for the Kindle Fire & Kindle Fire HD? 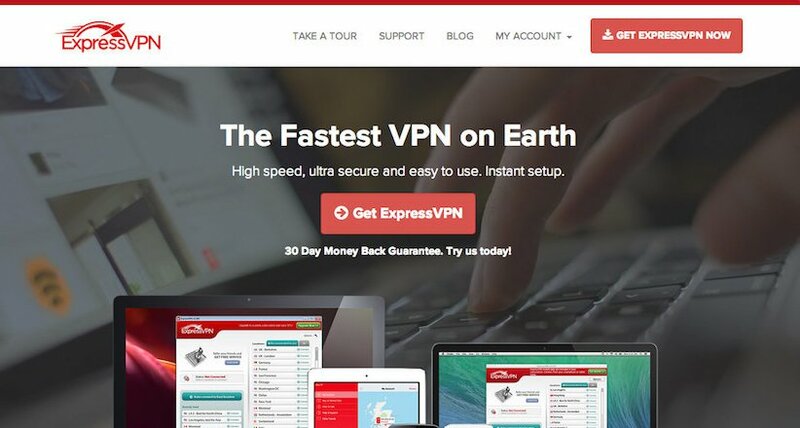 ExpressVPN is great as an overall VPN and it excels in most areas. It is particularly suited for Kindle use because it has smooth clients and fast speeds. We love their concern for the privacy and security of their users. Their minimal logs and Bitcoin payment don't hurt their cause either. If anything goes wrong, you always have access to their top-notch customer support. It may be a little bit expensive, but their service definitely makes the added expense worthwhile. If you care about your privacy and security, Private Internet Access are another great choice for Kindle Fire users. They offer 3000 servers across 24 countries, generally good speeds and great service. Their no logs policy is also another plus which definitely makes Private Internet Access a worthy contender. For those who want speed, IPVanish has you covered. They offer preconfigured routers, which are great if you are thinking about using your Kindle through a flashed router. If you can figure out how to root your Kindle Fire, you are more than capable of handling AirVPN. It's normally reserved for the tech-heads, but once you can get past the complications that come with that, it is seriously one of the best VPNs on the market in terms of their privacy and security measures. If you plan on consuming a lot of content on your Kindle Fire, you will want a speedy VPN to make sure that the streaming rates are good. TorGuard is fast and has great encryption and privacy standards. They have a no logs policy, accept Bitcoin and also offer great customer support.